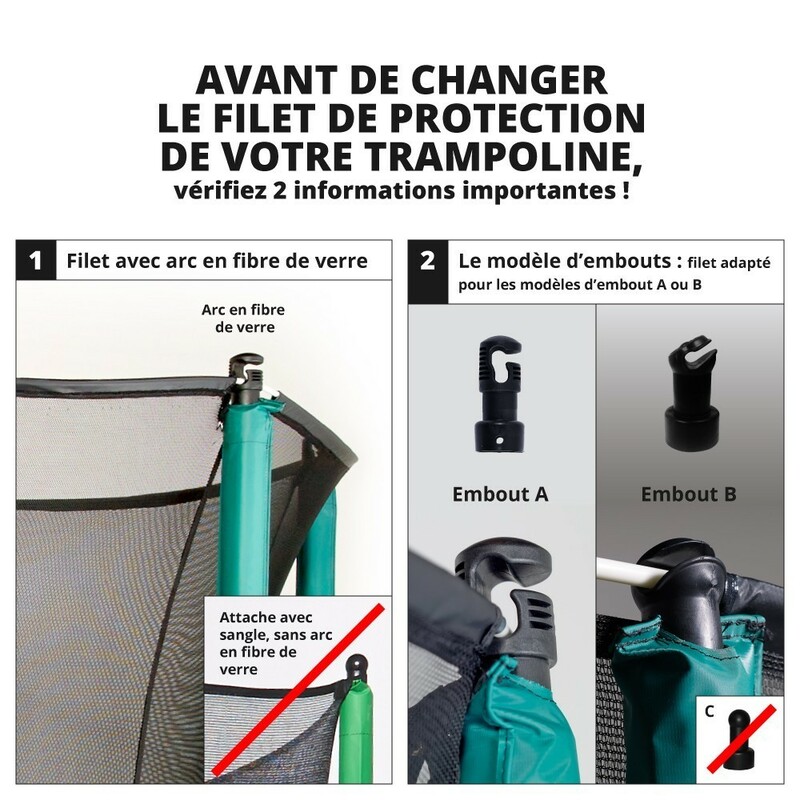 Safety net, similar to the original one that came with your 430cm wide round trampoline. 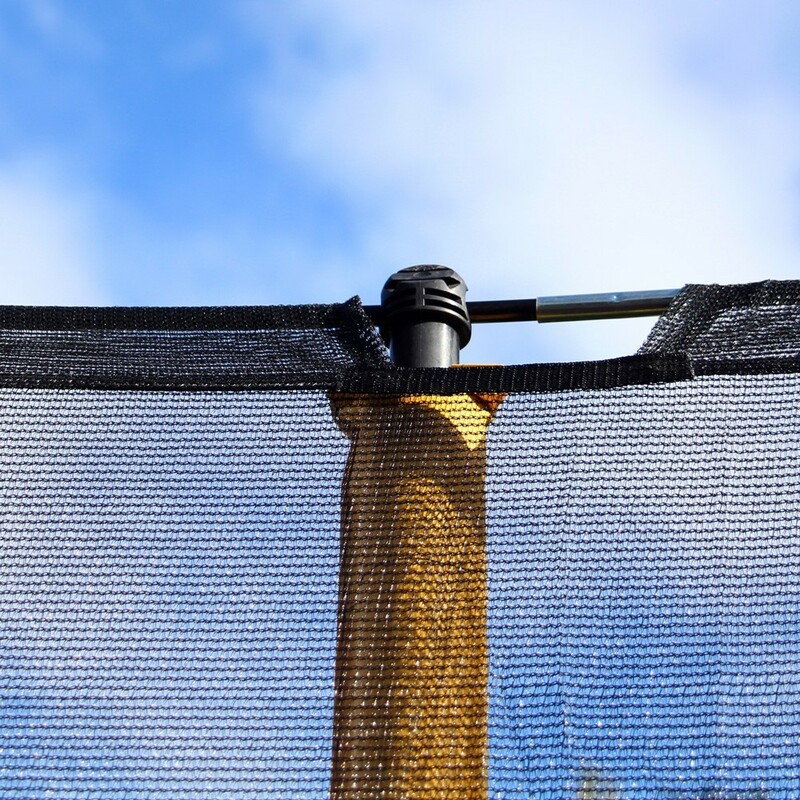 The safety net is one the most important elements when it comes to safety. 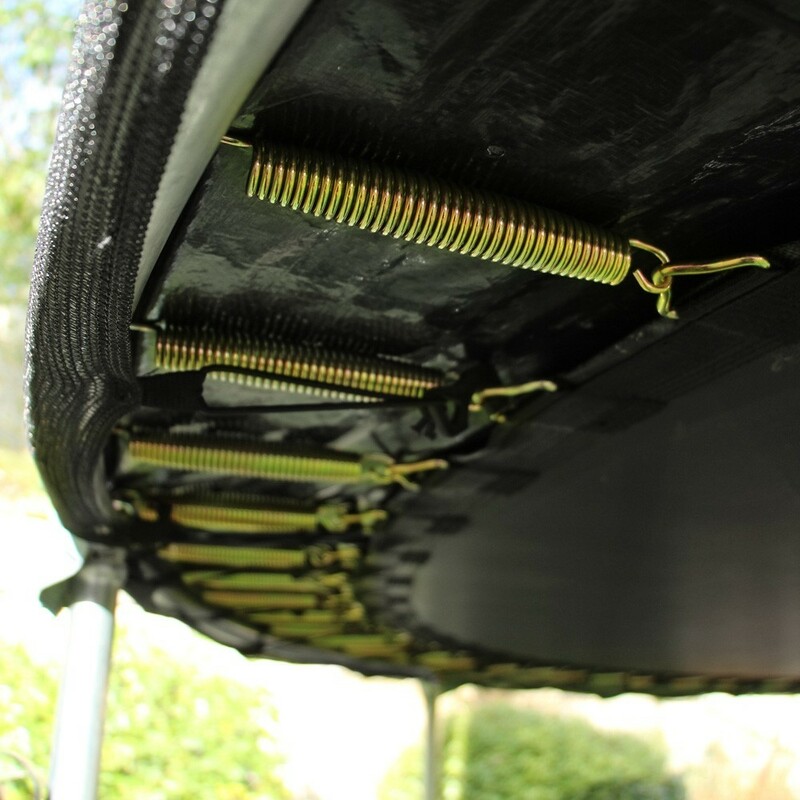 It is absolutely necessary to regularly check the condition of your safety enclosure. If it shows any signs of wear you should replace it with our spare parts. 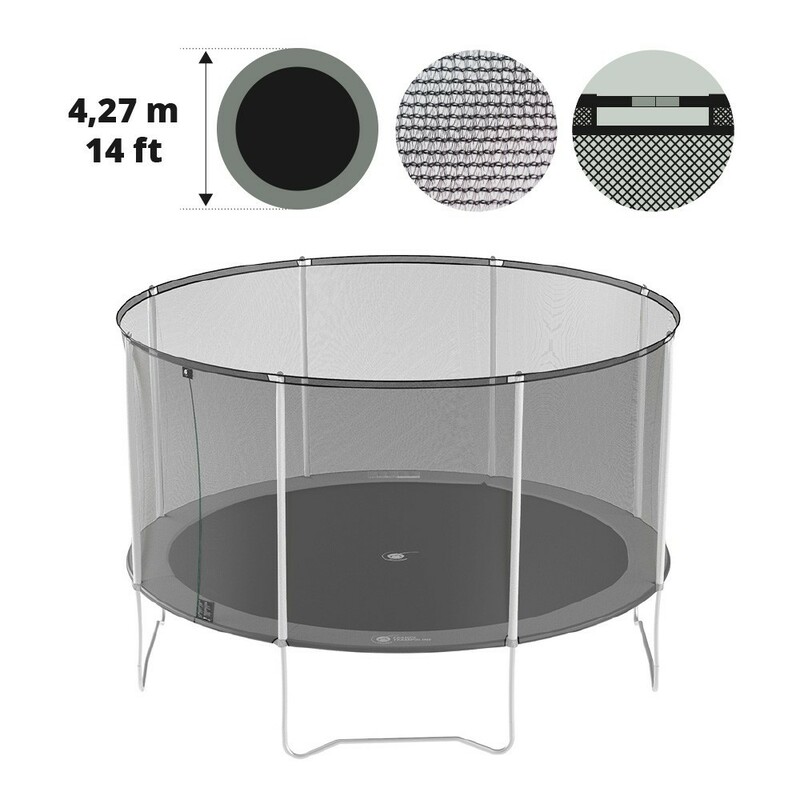 - This protective net is compatible with round trampolines from our Initio range, with a 430cm (14ft.) diameter, X-junction components, 8 net posts and tensioned with fiberglass rods. 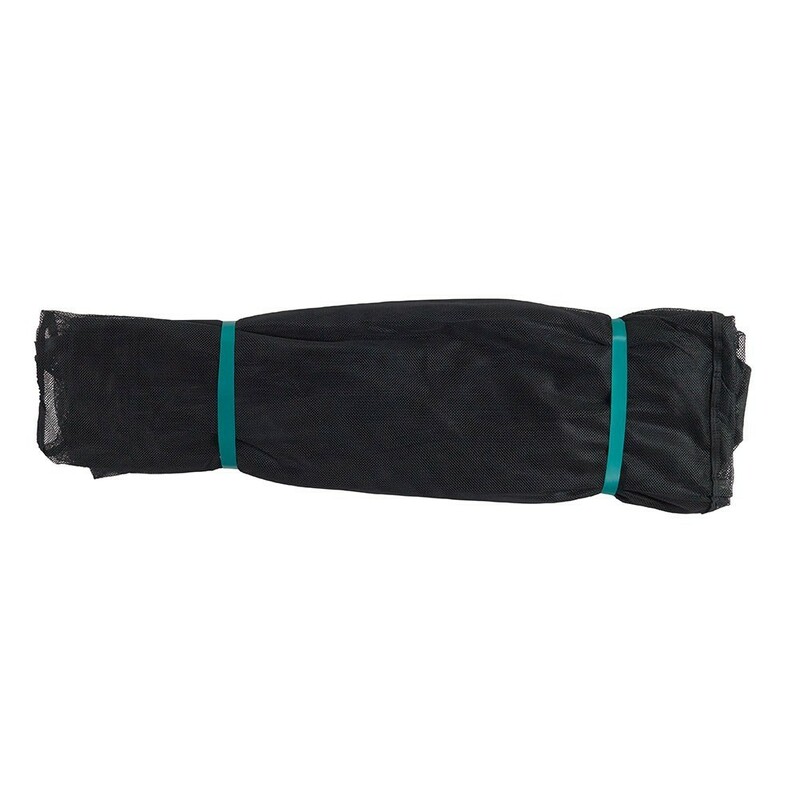 - Made in PE 100g/m² polyester, the mesh safety net has been treated against UVs for a prolonged lifeline. -Safety first! There should be no space between the net and frame pad. 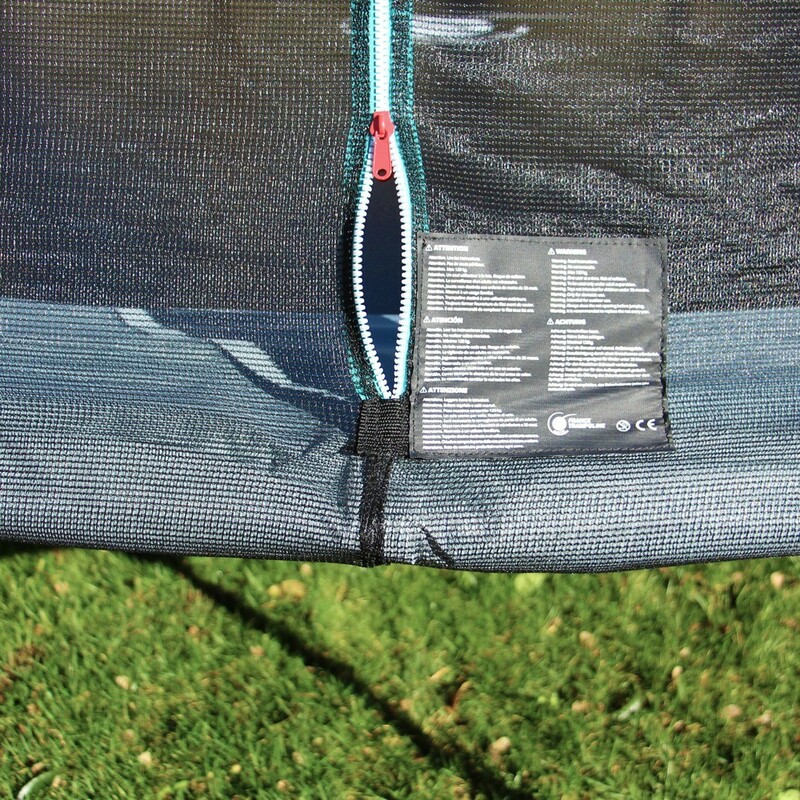 The safety net is attached with tensioners under the frame pad. 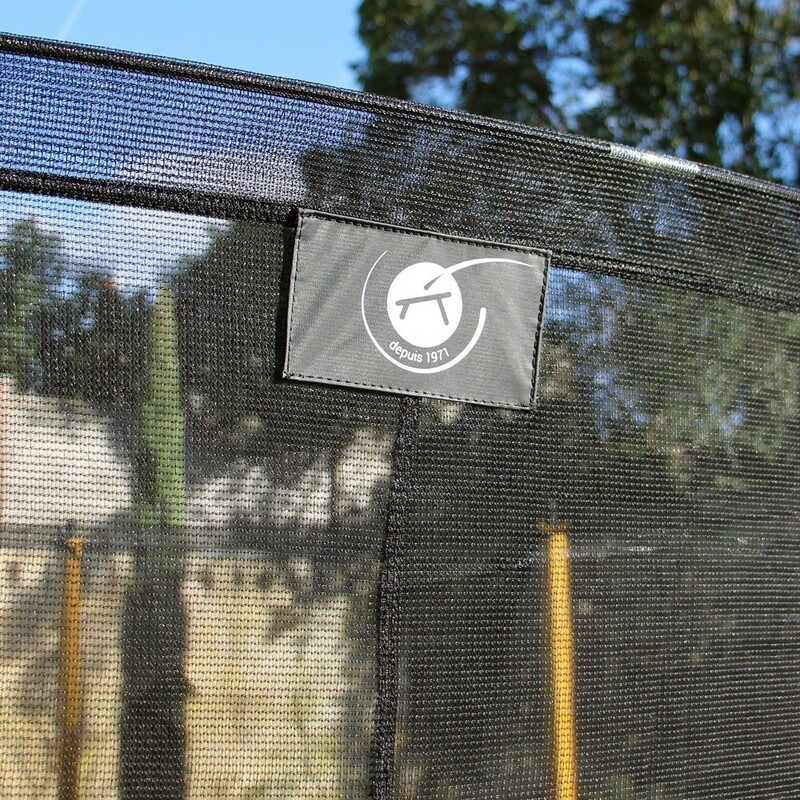 - Get access to the jumping area through an "i" double zip door.